Go for a black and white horizontal striped tank dress, if you feel like relaxed dressing without looking like a hobo. Got bored with this ensemble? 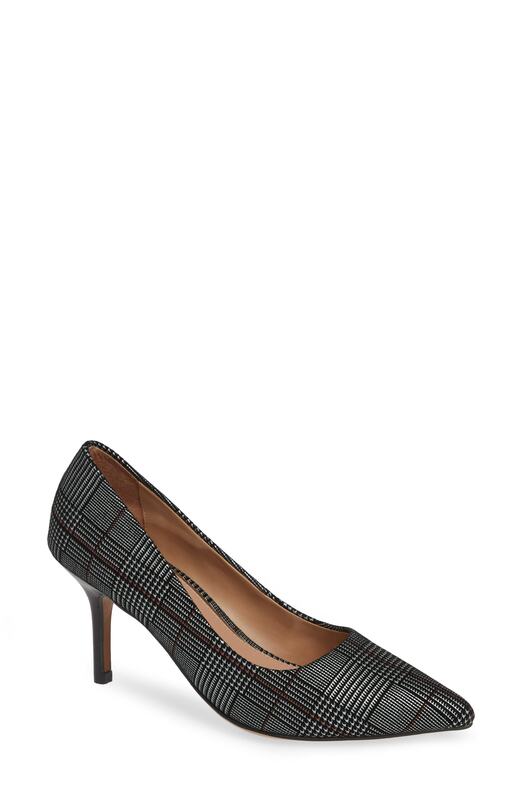 Enter Linea Paolo paloma pointy toe pump from Nordstrom to change things up a bit. 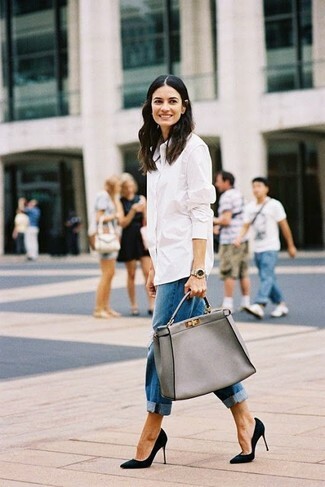 This pairing of a white dress shirt and blue ripped boyfriend jeans is simple, chic and super easy to copy! You could perhaps get a little creative in the footwear department and elevate your outfit with Linea Paolo paloma pointy toe pump. If you're scouting for a casual yet stylish look, team a red short sleeve blouse with black shorts. Both garments are totally comfy and will look fabulous paired together. Bring a touch of sophistication to your getup with black suede pumps. If you're obsessed with relaxed dressing when it comes to fashion, you'll love this chic combination of a black oversized sweater and blue ripped jeans. Grab a pair of Linea Paolo paloma pointy toe pump from Nordstrom to kick things up to the next level. As you can see here, looking elegant doesn't take that much time. Just reach for a navy sheath dress and you'll look totally chic. When it comes to footwear, this getup pairs well with black suede pumps. Contrary to what you might believe, looking elegant doesn't take that much the workplace. Just wear a black and white party dress and you'll look awesome. When it comes to shoes, this look is finished off brilliantly with Linea Paolo paloma pointy toe pump. If you're hunting for a casual yet absolutely chic getup, team a white and navy plaid dress shirt with blue jeans. Both items are totally comfy and will look fabulous paired together. Black suede pumps are a wonderful choice to complete the look. If you're scouting for a casual yet totally chic getup, make a pink coat and blue boyfriend jeans your outfit choice. Both pieces are totally comfy and will look fabulous paired together. To add oomph to your outfit, complete with Linea Paolo paloma pointy toe pump. For a casual absolutely chic ensemble, consider wearing a beige trenchcoat and black wide leg pants — these two items play really great together. When it comes to shoes, this outfit pairs wonderfully with Linea Paolo paloma pointy toe pump.